A hairstylist in Los Angeles, California, Philip B was frustrated with some of the commercial products available for hair care and the high concentration of detergents and fragrances that were being used in professional hair products, so he began to develop a deep conditioning product of his own. Philip B first developed the Rejuvenating Hair Conditioning Oil for his elite list of clients and Hollywood stars as a deep conditioning salon treatment. The Philip B Rejuvenating Hair Conditioning Oil became a popular salon treatment and was later written and praised about by a Beauty Editior in a leading Beauty Magazine. The popularity of the Rejuvenating Hair Conditioning Oil was the beginning of the Philip B Hair Care Products. Philip B later began to develop other hair care products using only natural ingredients without detergents, paraben or fragrances. 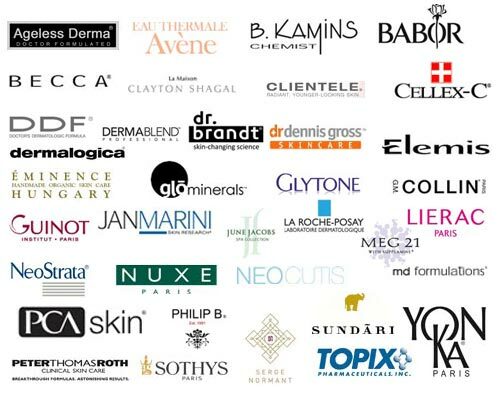 Philip B hair care products are now sold worldwide in leading salons and retail outlets. Philip B Rejuvenating Hair Conditioning Oil, the original product of the Philip B Hair Care line is the best selling and most popular product of its entire line. Philip B continues to produce hair care products that leave hair healthy, shiny and manageable without the use of ingredients that can actually damage the hair. Philip B introduced a shampoo made from African Shea Butter and 16 other natural plant extracts that gently cleans the hair and conditions it making it a popular choice for stylists and consumers. 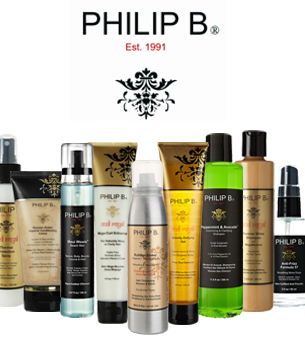 Philip B has also produced a full line of specialty shampoos for hair and scalp conditions such as psoriasis, dandruff, dry hair, curly hair and residue build up. Recently the Philip B Company decided to expand its hair care collection to include body spa products using the same blend of natural and organic ingredients. Philip B hair care products and the body care.